I have always loved makeup and worn it almost everyday since my twelfth birthday (the age I was allowed to wear start wearing it). Most of my know how has come from trial and error and a lot of magazines. And then I discovered beauty blogs. The ladies from Real Techniques have tons of makeup videos and I've watched quite a few. My life also changed when I started reading Maskcara's blog. She just gets makeup. And how to teach it. Maskcara's highlighting and contouring (HAC) lessons are where I learned to HAC and it has become part of my everyday routine. 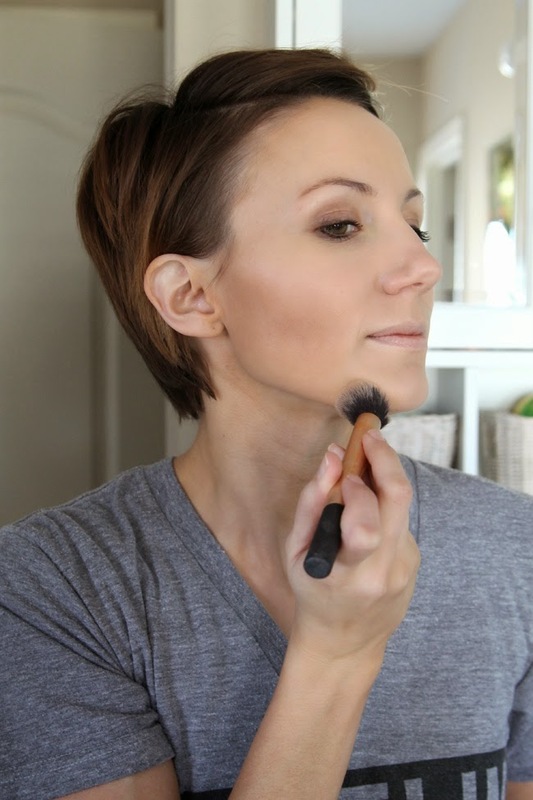 Today I'm sharing how I have been highlighting and contouring my face for the last few years. Start fresh faced. On the days when I didn't sleep in my makeup (oops) I start with a clean face and apply moisturizer and some self tanner before I begin. 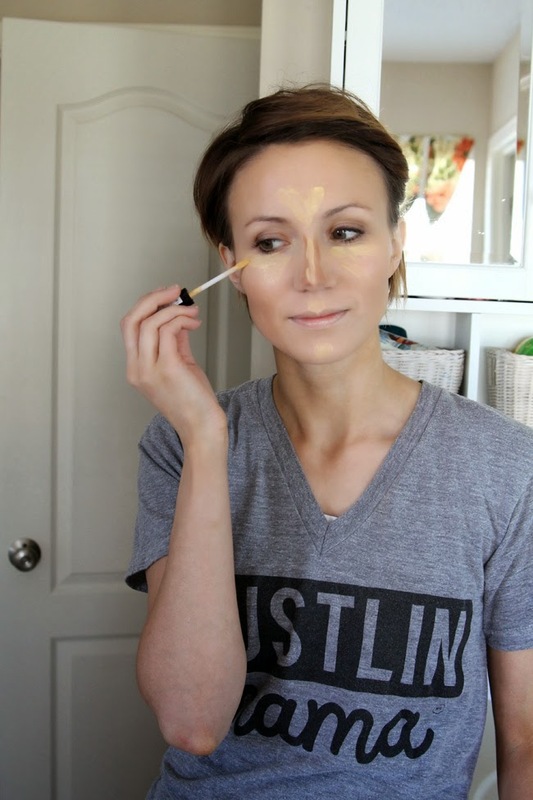 My skin is somewhat uneven and breaks out several times a month, so I like to apply a full coverage foundation before I start highlighting and contouring. This isn't necessary for everyone. I use my Beauty Blender to apply Bare Minerals foundation to my entire face. Be sure to get your Beauty Blender damp before using it. 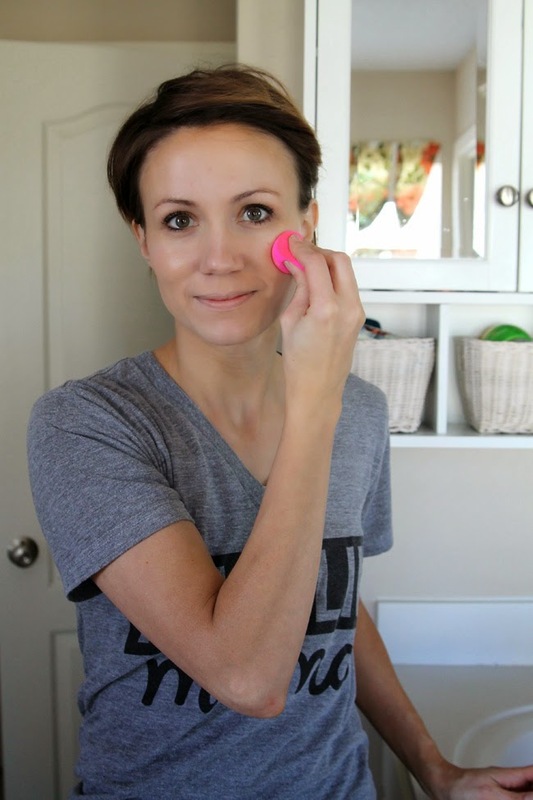 I apply the foundation right to the blender and it takes about a dime size or less to cover my face. You can see below that the foundation really evens out my skin tone and sets a good base for the rest of my makeup. Next the contouring. 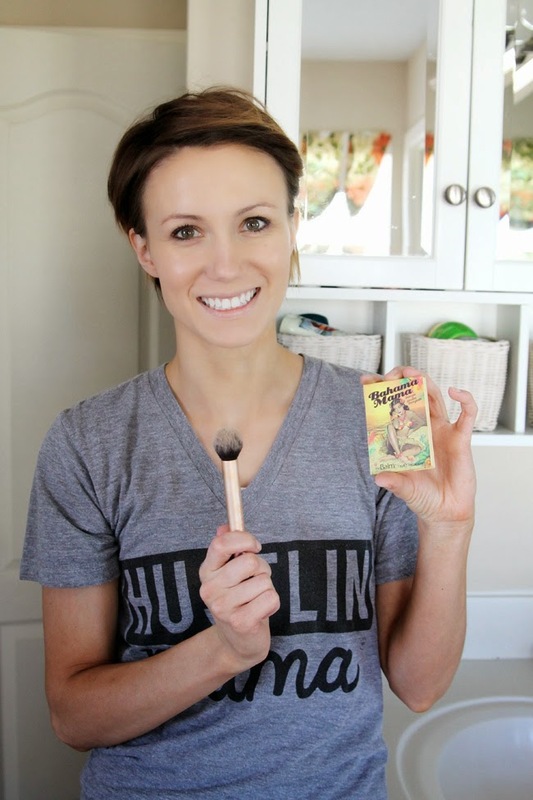 I use a Contour Brush my from Real Techniques with Bahama Mama bronzer. This bronzer is the best I've found for contouring and came recommended from Cara. It doesn't have any shimmer and it is not orange-y. This helps it create shadows on your face rather than sparkly or tanned spots. I've tried other brands that are less expensive and they are all orange or have shimmer. 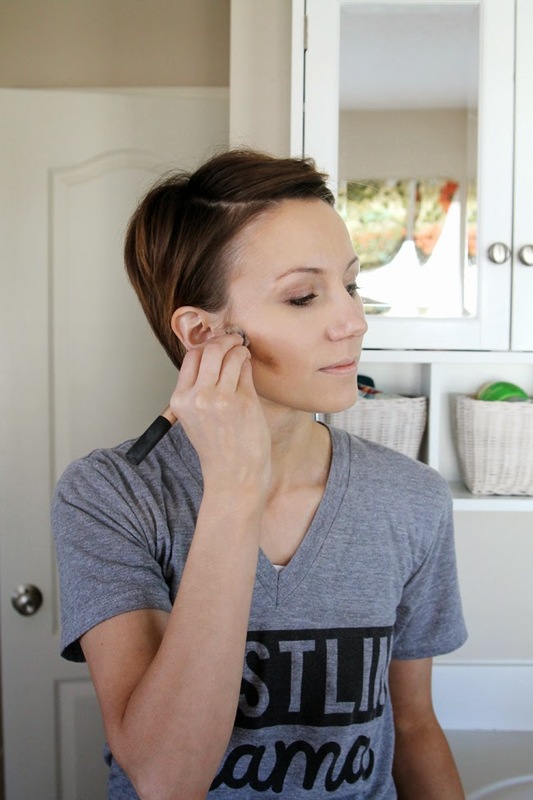 I use the bronzer to make an angled line right under my cheekbones all the way back to my ears. This is where the shadows naturally fall so I'm just enhancing them with the bronzer. I use the brush to blend the line so that it is still there, but looks natural. 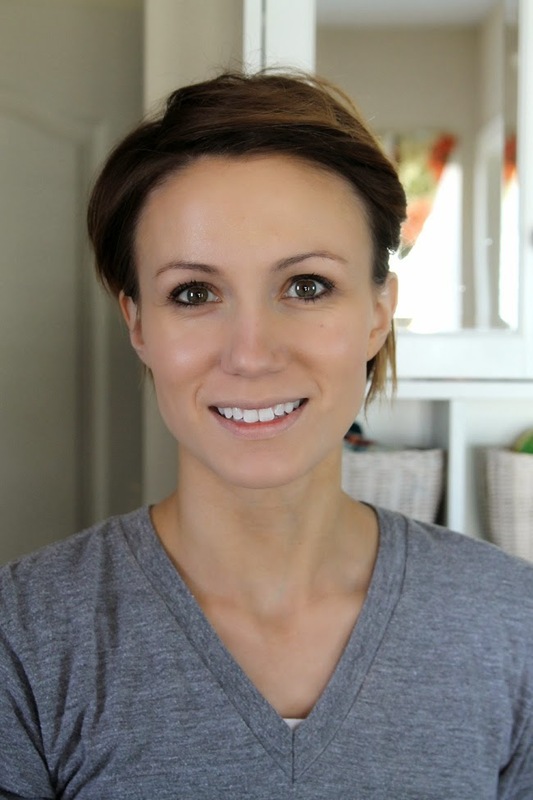 Blend down toward your jawline- not up toward your eye. I then apply a little bronzer to my jawline and up around the edge of my face toward my forehead. It ends up making a capital 'E' around the edge of my face with the bottom line being my jawline, the middle line going along my cheekbone and the top line curving up on my forehead. See below. The key is to really blend in the lines so that they don't look like lines, but so that there is still definition there. This takes some practice. I've had years of art and painting experience so blending is second nature to me, but if you aren't careful you could end up with just flat bronzer over half of your face. Be sure to keep that E shape! Next do the other side of your face. And now for the nose. I've never liked my nose- like ever. But HACing really helps. I use a small brush and the same bronzer for my nose. Carefully I draw two lines down the top of my nose- about 1/4 inch apart. This lines need to be straight and I connect them at the bottom by angling both lines into a point. Think of a sword tip at the bottom of your nose. Like this =>. I blend those bronzer lines down the sides of my nose with the small brush. You'll blend them more when you start highlighting. My favorite highlighting product is also a Cara recommendation. I have to order it on Amazon, but its worth it. 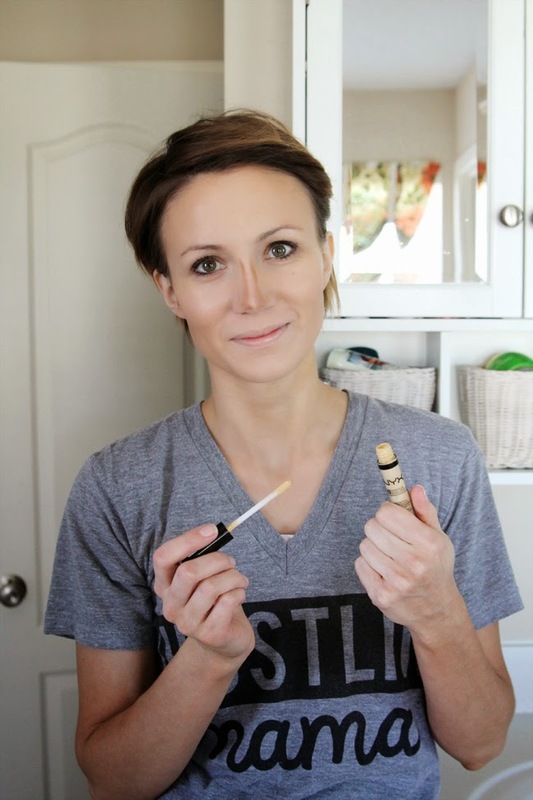 This NYX Yellow Concealer is the perfect color and consistency for highlighting. It seems very yellow, but the yellow actually brightens your face. I apply it liberally under my eyes, down the center line of my nose, up between my eyebrows and part of my forehead, and onto my chin. Then I use my finger and/or my beauty blender to start blending. I blend the concealer under my eye quite a ways down my cheeks. For my nose I'll blend the bronzer down the size of my nose better and make the concealer line blend in with it. The idea of HACing is to make what would in in light appear brighter and what would be in the shadows appear darker. So you are shading and highlighitng more defined cheekbones and a straighter and thinner nose. 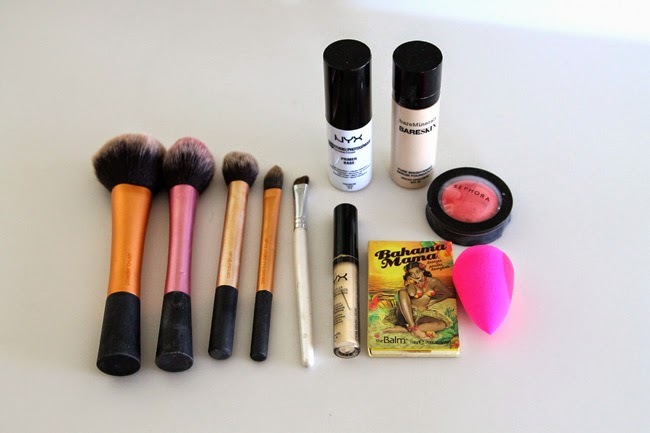 After I blend it all in , I use a powder or sometimes a bronzer to set it all. And that is it. You are ready for blush, eyebrows and eye makeup. My favorite blush is Sephora Creme Blush in Poppy Pink. I apply it with a big blush brush to the apples of my cheeks. Sometimes if I am going out I'll also use a highlighter like Smashbox Artificial Light to really make the highlighting pop. (It looks like this product has been discontinued which is why the price is so high on Amazon!) I apply that whereever I applied the concealer. If you haven't ever HACed before, this probably looks like quite a few extra steps to add to your daily routine- but it does go pretty quickly after you have practiced. It's also not something you need to do everyday. 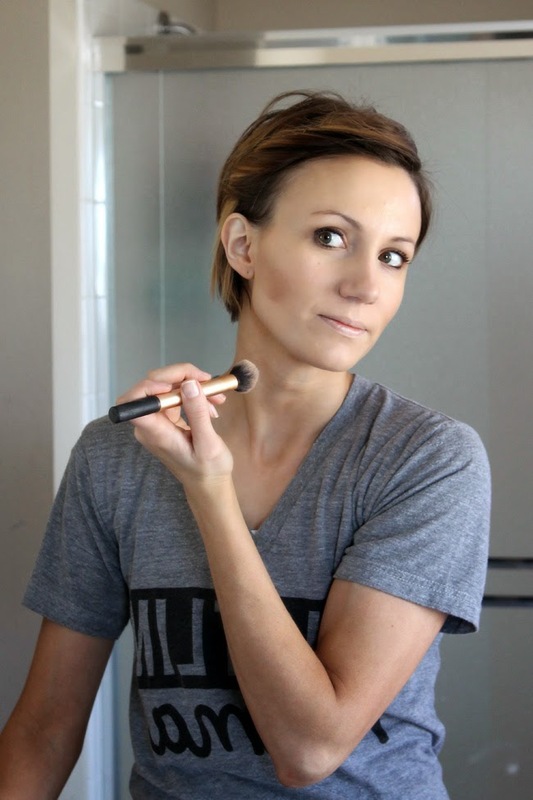 This is a great way to step up your makeup for a big event or a night out. And if you have a different face shape than I do- Maskcara has some great tutorials for each face shape here. You can find the next steps in my date night makeup in my Dramatic Eye Makeup Tutorial. Do you ever HAC? Are you interested in trying it? Loved this post! 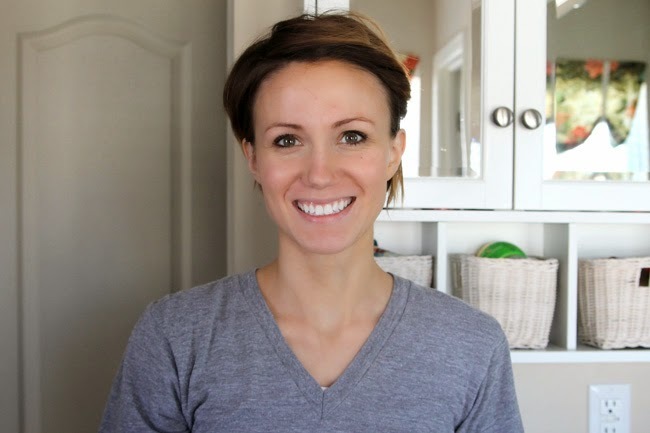 Your makeup is always flawless, so I like this peek into your routine. I love Maskara's 5minute Mommy makeup tutorial. 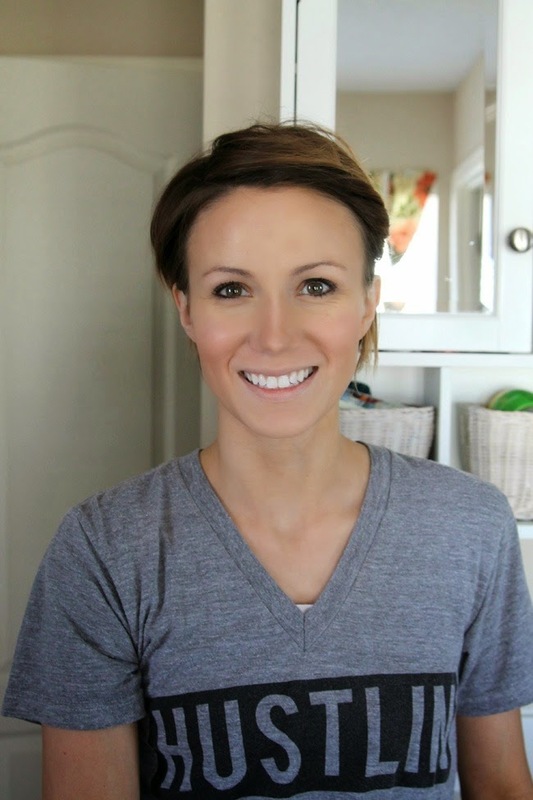 So between this new blog post and hers...there are so many great tips and products to try out! Thanks!! Looking forward to trying out Bahama Mama. Love the nose contouring! My nose is wide- I'm trying this tonight when I go out!